This collection of photographs portrays a moment of history in an iconic part of the country. 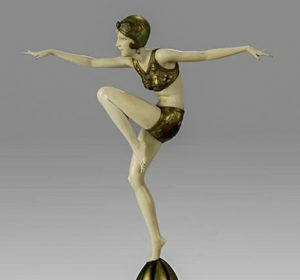 For more than a century, great events played out in the southern plains and Rockies. This is where “The Wild West” was born. Two of the original American highways run through it. 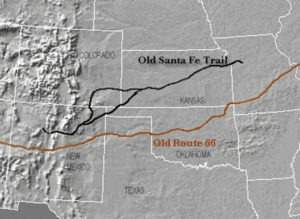 The Santa Fe Trail and Route 66 fueled the drama of Western migrations. 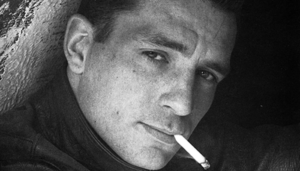 From Indian Wars to the Dust Bowl, to jobs at West Coast shipyards during World Wars, to stardom in Hollywood, these long roads led to dreams of a better life. These goals of upward mobility helped create cultural identities by which most Americans defined themselves. The region faded from public imagination in the second half of the twentieth century and with the exception of a few tourist spots, it became part of the fly-over states. But relics from those previous eras still remained in the 1990s. They stood like forgotten national monuments and I wanted to capture as much as possible on film before these artifacts disappeared. The idea came to me in 1992 while driving east from Santa Fe on Interstate 25 past the Pecos Wilderness. The name, “Pecos,” comes from the famous Native American Pueblo on the eastern slope of the Sangre de Cristo range of the Southern Rocky Mountains. At one time, Pecos Bill was enshrined in American folklore. He was a mythical cowboy with supernatural powers. Raised by a pack of coyotes, he rode a horse named Lightning, used a rattlesnake for a lasso and had a girlfriend named Slue-foot Sue. She was a super-cowgirl who rode a giant catfish down the Rio Grande. We learned about him in grammar school. By then, he was a cartoon character used for teaching kids to read and these days he’s almost entirely forgotten. Seeing the original Pecos made me think about how cultural narratives change and what that change means for society. Interstate 25 continues down to “Where the Great Plains Meet the Mighty Rockies.” That’s the tag line for Las Vegas, New Mexico, a town once as wild and well known as Dodge City. It seemed that a lot of what gave the town its reputation was still there and in many ways it felt like the Wild West. I made more trips, first north along the Front Range as far as Denver then east across the High Plains into the heart of the Dust Bowl and further, to the point where tallgrass prairie ends and woodland begins. Highway 35 between Oklahoma City and Wichita is a good line of demarcation. I was fascinated by those remnants of history. Small cities along the old Santa Fe Trail went on unrestored. Authentic structures from the original Route 66 deteriorated at the side of the road. Classic grain elevators stood vacant and creaked in the wind as their end approached. Sleepy little towns on the High Plains seemed frozen in a departed age. Like everywhere, symbols of what was called “the new global economy” were quickly replacing local styles and American archetypes. But here in the sparse and majestic southwestern landscape the transformation was most starkly illustrated. It was accelerating and generating deep level tensions in traditional society. A familiar narrative was again playing out through residents who were forced to adapt as cultural and demographic changes bore down on them. Driven by a sense of urgency, I tested different types of film and paper to produce fine art prints that would simulate how photographs might look if they were recovered from an archaeological site in the distant future. I mixed darkroom chemicals to specifications of formulas from the nineteenth and early twentieth centuries to achieve images that looked authentic. Over the next three years, I made repeated trips which culminated in tragic irony with the Murrah Building bombing in Oklahoma City. 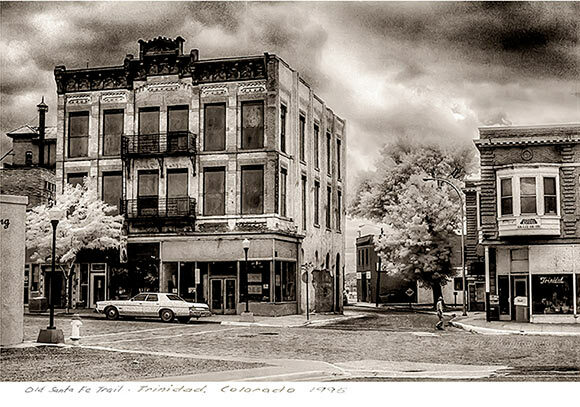 Early on, the work drew attention in Santa Fe and in 1993, I had a gallery show with the first group of prints. The “Santa Fe New Mexican” published a story about the project but the new digital revolution had already made a large impact on traditional photography. Suddenly, materials needed for the procedure I had devised were unavailable. I continued shooting film and ended up with a large stock of negatives. My hope was a time would come when this project could be completed with the new technology. It took much longer than I figured but now is that time. In fact, now is an opportune moment for the story these pictures tell. As things turned out, I was right. It was the end of an era, one that seems innocent now before the Internet and the World Trade Center. But it’s dangerous to oversimplify. Looking at the pictures today, one can only wonder how everything’s changed and nothing has changed. Altogether, thirty-seven images are shown here. There are many more. In the beginning, I planned for a full text to accompany the pictures but for now, the pictures can speak for themselves. Robert Pinkus created the site MakeItNew.com, more than ten years ago to showcase his script ideas which have become even more relevant today. 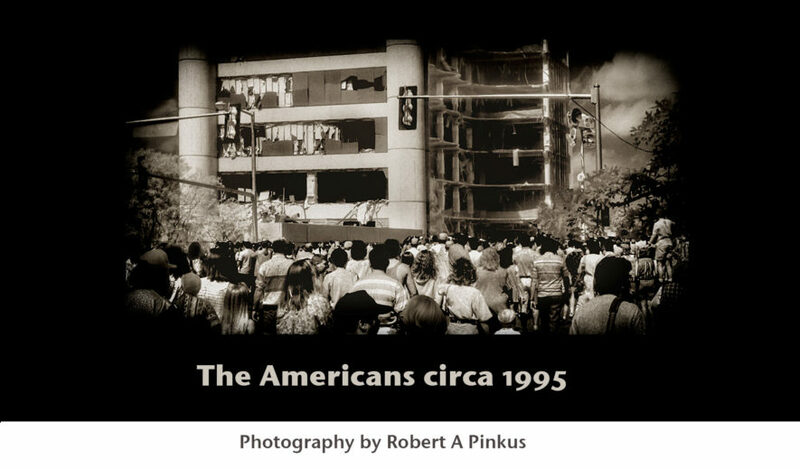 He developed this site, TheAmericans1995.com as a place to feature his film photographs from the mid-1990s in an iconic part of the U.S.A.